On both sides of the Atlantic, societies are revolting against policy elites. Nationalism, identity, and sovereignty are the order of the day. Protectionist and isolationist sentiment and threats of trade wars are common headlines. Calls for a “pullback” from globalization echo across both our shores. In the midst of such clamor, it is crucial to examine what is at stake. In the United States, Donald Trump campaigned explicitly against elites, running as a Washington-outsider bent on upsetting the establishment status quo and reshaping America’s approach to international economic affairs. With its professed “America First” orientation, foreign policy under the Trump Administration has been marked by withdrawal from multilateral trade negotiations such as the Trans-Pacific Partnership, and the president shows no interest in pursuing TPP’s proposed companion trade agreement between the United States and Europe. Similar debates have emerged about the role of the United States in global affairs across a host of security, environmental, and economic positions and platforms. Likewise, in France, a second round run-off was required for newcomer Emmanuel Macron to emerge victorious over far-right National Front leader Marine Le Pen in the presidential election that relegated the two main traditional parties to an afterthought. Mr. Macron’s victory was achieved against all odds, without the support of a political party or detailed disclosure of his proposed policy programs and based solely on widespread rejection of Le Pen’s extremism. In the aftermath of the French election, anti-globalization forces continue to loom large with strong support from both the far left and far right opposition parties. Globally, citizens and governments alike have responded to the recent economic crisis and the much promoted “the world is flat” theory in their own ways: witness Brexit, Euroscepticism, Trump, border closings, restrictions to migration, trade, and capital flows. Questioning longstanding alliance commitments is also part of this equation. Both sides of the Atlantic appear to be undergoing a period of palpable uncertainty and mistrust. While the United States shows signs of an identity crisis, Europe too is experiencing one of its own, in which it does not seem to know if it wants more America or less. This uncertain climate has inevitably led to unpredictability in the business world, particularly for firms operating on a global scale and therefore navigating among a complex mix of government policies, multilateral oversight bodies, as well as scrutiny and activism by civil society. Amidst such uncertainty and instability, the best way forward is based upon organizations that can smartly navigate a new era of globalization through conscientious local engagement. Neither protectionism nor the flat world approach is capable of fostering what is really needed: a virtuous circle that offers the promise of sustainable business profits and social and economic inclusion. The world of today—and of tomorrow—is much too complex to ignore either. The approach going forward must account for both the global and the local. 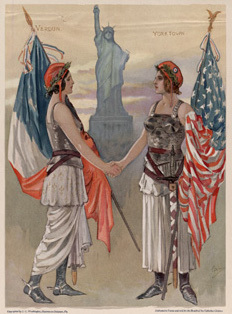 With our shared history, democratic values, and traditional political-military alliance, the United States and France have a unique opportunity to show this way forward, particularly in the field of economic relations and private sector investment. Over 4,800 French companies maintain subsidiaries in America, accounting for over 575,000 high-paying jobs. American companies generate over 400,000 jobs through their roughly 4,600 local affiliates in France, ranking them near the top of job-creating foreign investors and accounting for 12 percent of total U.S. foreign direct investment worldwide. Kicked off in 2014, the U.S.-France Economic-Commercial Dialogue has provided an important forum—which should be strengthened—for supporting a deepening of these opportunities. However, such successful globalization can only work if supported by civil society. French and American businesses and organizations must adapt smartly to the current challenging political-economic landscape by engaging meaningfully with, and across, multiple levels of society. First and foremost, this means firms must be highly attuned to and capable of responding to differences across countries. They must craft thoughtful governmental and societal agendas that communicate—and deliver—tangible benefit to the local societies in the countries in which they exist. At a basic level, companies must treat their interactions with governments, media, and the public not only as a priority but as a core element of their business strategies. In addition, trade and investment must be designed as a way to share our best practices and maintain high standards. And finally, while a globalized and interconnected world is here to stay, today’s multiplicity of voices and actors are demanding a more sustainable and accountable approach to the world economy’s development and management. In this way, global businesses can be effective advocates for international trade and investment that increases transparency and accountability, raises standards, and enshrines human rights practices. As transatlantic partners in business and investment, we want to lead and work with our partners to achieve this future. Sally A. Painter is co-founder and chief operating officer of Blue Star Strategies, LLC, based in Washington, DC, and a board member of Truman National Security Project. Mathilde Defarges is a partner at Arcturus Group, based in Paris, France. Jeremiah Baronberg contributed to this article.